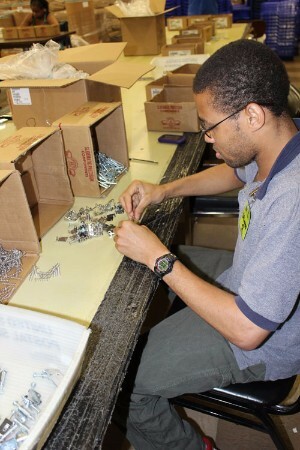 Since 1900, Workshops, Inc. has served people with disabilities, helping them prepare for and find employment. The people we serve have a range of disabilities, including intellectual, mental health and physical disabilities but they all have one thing in common - they want the opportunity to work. If you are interested in learning more about our vocational rehabilitation services please refer to our Programs page. The people we serve receive paid on-the-job training or longer-term employment in our Avondale facility, just east of Downtown Birmingham. Here we work with more than 300 local companies who rely on Workshops, Inc. for business solutions that include assembly, packaging, mailing, order fulfillment and other outsourcing needs that require quality handwork from a reliable workforce. Our business customers receive top-quality work from Workshops at competitive prices - and the satisfaction of knowing that their outsourced work provides training experience and employment for people with disabilities and other barriers to employment. 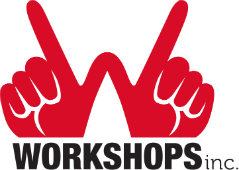 For more information about how Workshops, Inc. can help your business, click here. Workshops has been a member agency of United Way of Central Alabama since 1956, and also works closely with the Alabama Department of Rehabilitation Services (ADRS), our primary referral source and a significant source of financial support.